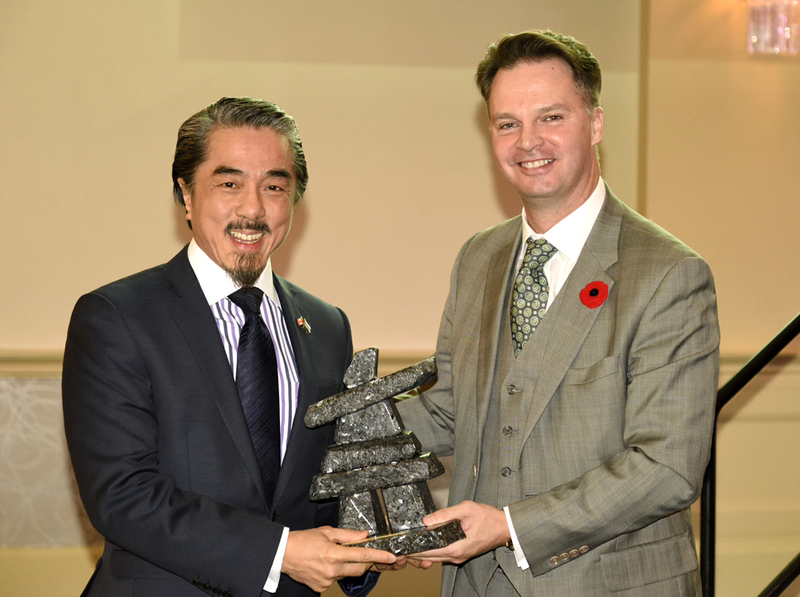 Sandy Chim (L), Chairman of Labec Century Iron Ore Inc., and President and CEO of Century Iron Mines Corporation receiving the 2014 Explorer of the Year Award from George Ogilvie (R), President of CIM – Newfoundland Branch. On November 8, 2014, Century’s 60%-owned joint venture, Labec Century Iron Ore Inc., received the “2014 Explorer of the Year Award” from the Canadian Institute of Mining, Metallurgy and Petroleum (“CIM”) – Newfoundland Branch at its annual awards banquet in St. John’s. The award recognizes the significant advancements in iron ore resource development and exploration at the Joyce Lake DSO deposit, which is 100% owned by Labec Century and located in Newfoundland and Labrador. “Receiving this award is a great honour. Labec Century is proud to have discovered the Joyce Lake DSO deposit from early stage prospecting in a previously unknown DSO area in the Labrador Trough. It means a lot to us, coming from this prestigious professional association, and we are truly grateful for this recognition,” said Sandy Chim, Chairman of Labec Century and President and CEO of the Company. The Joyce Lake project is the first DSO discovery in the area in three decades. Century and Labec Century together have invested almost eight years of work and approximately $30 million to bring the project to its current advanced stage of feasibility and environmental studies, which are expected to be completed in the first quarter of 2015.